National Fuel Gas Company announced that Ann M. Wegrzyn, Chief Information Officer of National Fuel Gas Company, has indicated her intention to retire, effective Feb. 1, 2019, after more than 33 years of service. Martin A. Krebs will succeed Ann M. Wegrzyn as Chief Information Officer at National Fuel Gas Company. 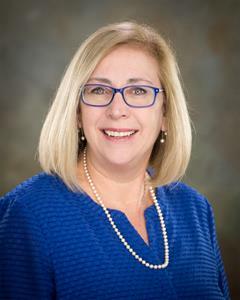 WILLIAMSVILLE, N.Y., Nov. 19, 2018 (GLOBE NEWSWIRE) -- Today, National Fuel Gas Company ("National Fuel" or the "Company") (NYSE: NFG) announced that Ann M. Wegrzyn, Chief Information Officer of National Fuel Gas Company, has indicated her intention to retire, effective Feb. 1, 2019, after more than 33 years of service. Wegrzyn joined National Fuel in 1985 as an Analyst and worked in various departments across the Company. Wegrzyn holds a Bachelor of Science degree in industrial and systems engineering, and a Master’s of Business Administration from the University at Buffalo. She has been dedicated to her alma mater and the community at large with a focus on STEM (Science, Technology, Engineering and Math) education serving on the University at Buffalo Alumni Association Board of Directors, University at Buffalo Industrial Engineering Department Advisory Board, and the Buffalo Academy of the Sacred Heart STEM Board. 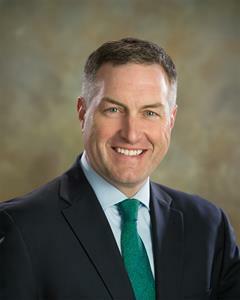 Joining National Fuel to succeed Ann, will be Martin A. Krebs. Krebs has 25 years of information technology experience spanning multiple companies, and has been a Chief Information Officer for more than 12 years. Most recently, Krebs was the Chief Information Officer and Chief Information Security Officer of Fidelis Care, a health insurance provider for more than 1.7 million New York state residents. Krebs holds a Bachelor of Science degree in business administration with a concentration in management information systems from the University at Buffalo.